Missouri Gov. Alexander McNair's residence was at the northwest corner of Main and Spruce Streets. 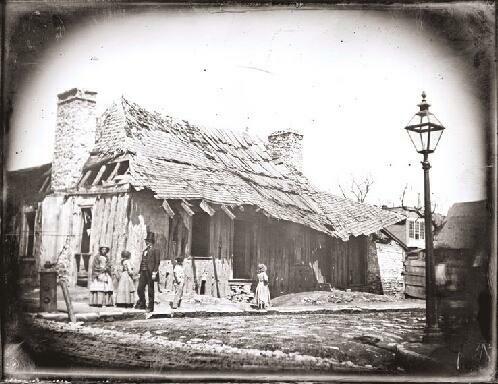 Daguerreotype by Thomas M. Easterly, 1850. 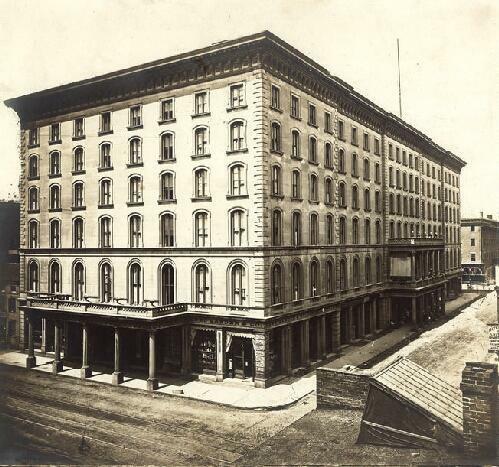 The Southern Hotel was on the southwest corner of Fourth and Walnut Streets. Photograph by Robert Benecke, 1868. 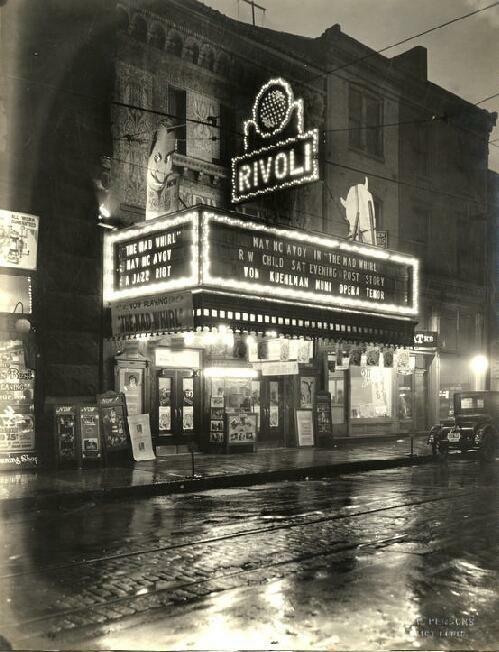 The Rivoli Theater was on Sixth Street south of Olive Street. Photograph by W.C. Persons, 1925. Andrew Wanko discusses the Missouri History Museum's exhibit "Lost Buildings of St. Louis." The exhibit features 61 lost buildings, selected from the museum’s collection of more than a million photographs. The featured buildings range from restaurants and theaters to residences; from lighthearted places like Sportman’s park to controversial ones like Pruitt-Igoe. There are some one-of-a-kind oddities in the collection too, such as the Coral Court Motel on Watson Rd., which was built in the heyday of Route 66 and was known as a “no-tell motel,” complete with private garages for guests to keep their cars hidden. While it’s important to preserve the past, sometimes progress means that new buildings must replace old ones, and Wanko admitted that the issue of losing buildings can be complicated. “We want to save these stories from our history, but if you think about a case like the William Bixby mansion, it came down and we lost that story, but without it coming down, we would have never had the Chase, which is an incredible historic resource,” he said. Yet, many buildings have been victims of nothing more than short-sightedness, Wanko pointed out, citing the destruction of the ten-story Marquette Hotel on Washington Avenue in 1988 for a 75- space car lot. “Lost Buildings of St. Louis” will run until July 19th. More information.